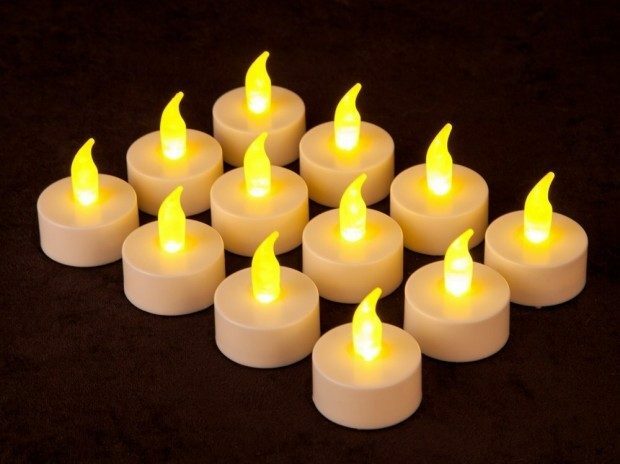 12 Battery Operated LED Tealight Candles Only $4.40 Shipped! You are here: Home / Great Deals / Amazon Deals / 12 Battery Operated LED Tealight Candles Only $4.40 Shipped! Beautiful and safe for your holiday decorating! Head over to Amazon to order a set of 12 Battery Operated LED Tealight Candles for Only $4.40 Shipped! Great for parties, Christmas, home decor, restaurants, nightclubs and camping.